The Endocannabinoid System. 5th April. 2019. Palliative Care Special Education Day. Western NSW Local Health District. Orange, NSW. A Brief History of Cannabis as a Medicine. 5th April. 2019. Palliative Care Special Education Day. Western NSW Local Health District. Orange, NSW. The Cannabis plant: Botany and Phytochemistry. 4th April, 2019. Western NSW Local Health District. Orange, NSW. Cannabis use for Endometriosis: Results of an Australian National Survey. 28th March, 2019. QENDO (Queensland Endometriosis Association). Endeavour College Brisbane QLD. Cannabis use for Endometriosis: Results of an Australian National Survey. 24th March, 2019. 4th UIC Medicinal Cannabis Symposium. Tweed Heads NSW. The Cannabis Plant. The Australian Medicinal Cannabis Course. 21st March, 2019. United in Compassion Education event at the 4th UIC Medicinal Cannabis Symposium. Tweed Heads NSW. Cannabis ethnopharmacology and the Endocannabinoid System. 13th March 2019. Medical Cannabis Research Australia. Charles Perkins Centre. University of Sydney. The Endocannabinoid System: anatomy, physiology and dysfunction.13th November, 2018. Clinical Oncology Society of Australia. Perth Western Australia. The Ethnopharmacological History of Cannabis. 29th October, 2018. CannaTech. Pyrmont, NSW. Cannabis and the Endocannabinoid System. 23rd October, 2018. Australian Traditional Medicine Society Webinar Event. Sydney NSW. What is Medicinal Cannabis? The facts and the fiction. 19th October, 2018. Medical Cannabis: Debunking the Myths (1 day Seminar) NSW Nurses & Midwives Association. Newcastle NSW. The Cannabis Plant. The Australian Medicinal Cannabis Course. 22nd September, 2018. Public Health Network / United in Compassion Education event. Tamworth NSW. Endocannabinoid System. 8th September. Medicinal Cannabis Education. Four Points Sheraton - Sydney NSW. Cannabis Phytochemistry: The Cannabinoids and Terpenes. 8th September, 2018. Medicinal Cannabis Education. Four Points Sheraton - Sydney NSW. Snapshot of Medicinal Cannabis Education in Australia. 7th September, 2018. NICM Medicinal Cannabis Research Symposium. NICM Health Research Institute. Western Sydney University. Westmead Sydney. Australian Medicinal Cannabis Research and Education Collaboration Address. 7th September, 2018. NICM Medicinal Cannabis Research Symposium. NICM Health Research Institute. Western Sydney University. Westmead Sydney. The Endocannabinoid System and therapeutic role of medicinal cannabis. 22 August, 2018. Endeavour Webinar Series.Sydney, Australia. Latest Scientific Research Panel - Cannabis. 14-16th August, 2018. MJBizCon International. Toronto Convention Centre. Canada. Cannabis Phytochemistry. 4th August, 2018. Australian Natural Therapies Association. Potts Point Sydney NSW. What is Medicinal Cannabis? The facts and the fiction. 20th June, 2018. Medical Cannabis: Debunking the Myths (1 day Seminar) NSW Nurses & Midwives Association. Wollongong NSW. Cannabis Botany and Phytochemistry. 20th May, 2018. Naturopaths & Herbalists Association of Australia. South Australian Chapter. Adelaide, South Australia. Cannabis Myths & Misconceptions: Fact vs Fiction. 20th May, 2018. 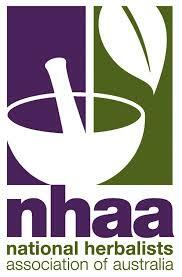 Naturopaths & Herbalists Association of Australia. South Australian Chapter. Adelaide, South Australia. Cannabis Phytochemistry: The Phytocannabinoids and Terpenes. 19th May, 2018. Essentials of Medicinal Cannabis Prescribers Course. Medicinal Cannabis Education (ACNEM/NIIM/NICM initiative). National Institute of Integrative Medicine. Hawthorn Victoria. Endocannabinoid System. 19th May, 2018. Essentials of Medicinal Cannabis Prescribers Course. Medicinal Cannabis Education (ACNEM/NIIM/NICM initiative). National Institute of Integrative Medicine. Hawthorn Victoria. The Ethnopharmacology of Cannabis: From the Neolithic to Now & Panel discussion on Medicinal Cannabis. 13th May, 2018. Hemp Health and Innovation Expo. Rosehill Gardens, Sydney NSW. Panel discussion on Medicinal Cannabis. 12th May, 2018. Hemp Health and Innovation Expo. Rosehill Gardens, Sydney NSW. Tropes within the Medical Cannabis Debate: Fact vs Fiction & Panel discussion. 5th May, 2018. Hemposium Education Session for Mardigrass Festival. Nimbin NSW. Speaker Panel and Public Forum On Medicinal Cannabis. 14-15 April, 2018. Australasian Integrative Medicine Association. Auckland University of Technology. The Ethnopharmacology of Cannabis: From the Neolithic to Now. 14 April, 2018. Australasian Integrative Medicine Association. Auckland University of Technology. Medical Cannabis for Chronic Pain. 14th March, 2018. Medical Cannabis Research Australia. Veterinary Science Conference Centre. Sydney University. The Ethnopharmacology of Cannabis: From the Neolithic to Now. March 11th, 2018. Cann10 Medicinal Cannabis Leadership Program. Sydney New South Wales. What is Medicinal Cannabis? The Facts and the Fiction. 9th March, 2018. NSW Nurses and Midwives Association, Regional Mental Health, Drug & Alcohol Nurses Medicinal Cannabis Forum. Coffs Harbour, NSW. Introduction to the Endocannabinoid System. 27th February, 2018. Pharmaceutical Society of Australia (Webinar event). Panel Discussion on Medicinal Cannabis & Hemp. 3rd December, 2017. Hemp, Health and Innovation Expo. Melbourne Convention and Exhibition Centre. Victoria. The Ethnopharmacology of the Cannabis genus: From the Neolithic to Now. 2nd December, 2017. Hemp, Health and Innovation Expo. Melbourne Convention and Exhibition Centre. Victoria. The Ethnopharmacology of the Cannabis genus: From the Neolithic to Now. November 23rd, 2017. Sydney Chapter of the Naturopaths & Herbalists Association of Australia. ACNT Pyrmont campus, NSW. Cannabis and the Endocannabinoid System. 12th November, 2017. Enhanced Supportive Care Workshop. Clinical Oncology Society of Australia ASM. Darling Harbour, Sydney NSW. Medicinal Cannabis Panel Discussion. 16th October, 2017. Medical Cannabis: An Emerging industry. Seedlings 2.0. Budding Tech. Sydney NSW. What is Medicinal Cannabis? : The Facts and Fiction. 6th October, 2017. Research Breakfast by the Beach. Cancer Council NSW. Medical Cannabis for Patients & Carers. 12th September, 2017. Medical Cannabis Research Australia. Veterinary Science Conference Centre. Sydney University. Medicinal Cannabis, Endometriosis and Chronic Pain. 9th September, 2017. EndoActive. 2nd Endoactive Endometriosis Conference. Charles Perkins Centre. Sydney University. What is Medicinal Cannabis? The Facts and the Fiction. 8th September, 2017. Mental Health and Drug & Alcohol Nurses' Forum. NSW Nurses and Midwives Association. Waterloo Sydney. The Ethnopharmacology of Cannabis. September 3rd, 2017. Cann10 Medicinal Cannabis Leadership Program. Melbourne Victoria. Medicinal Cannabis: Chronic Pain Management and Navigating the Prescription Maze. August 31, 2017. Australasian College of Nutrition and Environmental Medicine. Webinar. Cannabis use risk analysis and an introduction to the Endocannabinoid system. June 23, 2017. 3rd United in Compassion Medicinal Cannabis Symposium. Melbourne Exhibition Centre Vic Australia. Cannabis and the ECS: Navigating the Facts and Fiction. May 24, 2017. Grand Rounds Endeavour College Gold Coast Campus Queensland. Cannabis and the ECS: Navigating the Facts and Fiction. April 23, 2017. BioCeuticals 5th Research Symposium. Sydney Australia. Cannabis and the Endocannabinoid System. March 18, 2017. Naturopaths and Herbalists Association of Australia's 10th International Conference on Herbal Medicines. Brisbane Australia. Cannabis Phytochemistry and the Entourage Effect. March 19, 2017. Naturopaths and Herbalists Association of Australia's 10th International Conference on Herbal Medicines. Brisbane Australia. Medical Cannabis in Australia. December 27, 2016. Woodford Folk Festival. Woodford Queensland. Seedlings: The future of Medical Cannabis in Australia. October 29th, 2016.Charles Perkins Center, University of Sydney. Hosted by BuddingTech. Integrative Pain management: The therapeutic use of Cannabis. September 4, 2016. Australasian Integrative Medicine Association (AIMA). Australian Technology Park Sydney NSW Australia. ​An introduction to Cannabis and the Endocannabinoid system. September 3, 2016. Australasian Integrative Medicine Association (AIMA). Australian Technology Park Sydney NSW Australia. Cannabis 101. (Opening Keynote) May 2016. 2nd United in Compassion Medicinal Cannabis Symposium. Rosehill Gardens Exhibition Centre Sydney NSW Australia.